Everyone meet lovely Troy. This lad is around 3 and a half years old. Troy was originally re-homed 3 years ago but was recently returned to the rescue as the owners circumstances changed and they could not look after him anymore. Troy is not keen on young children (perhaps he had a bad experience somewhere in his past, or perhaps they are just too noisy and busy for him) and he doesn't like cats (lots of dogs don't) but apart from that he is a lovely boy - fine with people and other dogs. So if you have a child-free, cat-free household and feel you could give Troy the chance of a new life please consider contacting us. Troy knows very good basic commands and is good, if not a little strong, on the lead. He is very loving when he finds the person he trusts and is eager then to please. This boy really just needs a good experienced handler who can give him the right guidance, the right direction and the right environment. If he finds all that you will not have a more loving dog. 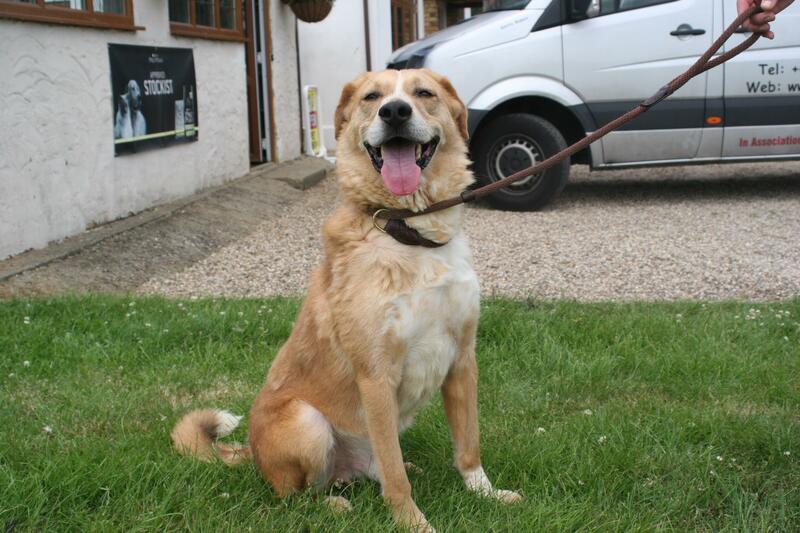 He is currently in kennels in Essex. Adoption fee £275. www.abldr.org.uk Homecheck required.